This darling little panda bear is too cute! 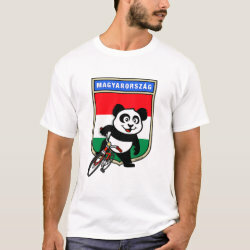 Panda stands astride a bicycle in front of a shield of the flag of Hungary in this adorable design for bikers & cyclers! 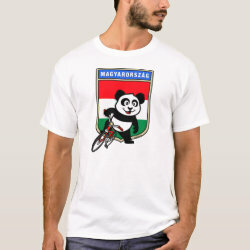 What a cute design for anyone that races bikes or wants to support the Hungarian cycling team!